Here’s an important blog from one of my favourite writers, Gabor Maté. ‘Marlene, a 46-year old native woman, sat in my office last week, slumped on her chair, blinking away her tears. I’d just shared the news that her most recent blood test confirmed she had “seroconverted” to HIV, become infected with the AIDS virus. Although an injection drug user, Marlene had always been careful to use clean needles. Her route of infection was sexual contact – with the resigned naiveté characteristic of so many aboriginal women in Vancouver’s Downtown Eastside, she had trusted a man, himself a drug addict, who assured her that he was a safe partner. There is a disproportionately high ratio of native Canadians among my Downtown Eastside patients, as well as in Canada’s drug-using population and prisons. And they suffer disproportionately. Last week, a study showed that the HIV rate among Vancouver’s aboriginal drug users is twice that of non-natives. The report came just a day after the tragic incident in which two toddlers froze to death on a Saskatchewan reserve. Their father, in an inebriated stupor, had carried them into a snowstorm. The devastation wreaked by addiction among our first nations peoples is a national scandal – or it would be, were it to strike virtually any other segment of our population. Our country is strangely indifferent to its depredations among this marginalized group. We seem content to accept the high death toll that afflicts our native citizens, the low life expectancy, the high incarceration rate and the grinding poverty that both gives rise to substance abuse and results from it. Addicts are made, not born, and the most common precursors are early childhood privation, neglect and abuse. For several generations, Canada’s native children have been far more likely to suffer grinding penury, abuse and childhood substance addictions than non-natives. But contrary to what is sometimes asserted, such facts say nothing about the “innate” nature of Canada’s native peoples, either cultural or genetic. Abuse of young children among tribal peoples living in their natural habitats is virtually non-existent, and so it was with North American natives before European colonization. On the contrary – in many ways, their parenting practices were more enlightened than those current in our civilization. And tobacco and other potentially addictive substances were available prior to the European settlement of this continent – even alcohol, in what is now Mexico and the American Southwest. Yet there is no mention by anthropologists or historians of anything that could be reasonably called addiction. The precursor to addiction is dislocation, according to Dr. Alexander. Dislocation is the loss of psychological, social and economic integration into family and culture – a sense of exclusion, isolation and powerlessness. “Only chronically and severely dislocated people are vulnerable to addiction,” he has written. Thus, today’s dismal statistics arise from the relationship between aboriginal people and the dominant culture. With the mass migration of Europeans to North America and the economic transformation of the continent came also the loss of freedom of mobility for native peoples, the inexorable and still ongoing despoliation and destruction of their habitats and traditional livelihoods, the invalidation of their spiritual ways and persistent discrimination. 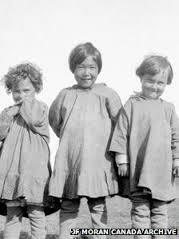 Within living memory, native children were seized from their homes, alienated from their families and incarcerated in “civilizing” institutions where their lot was one of cultural suppression, emotional and physical maltreatment and, all too frequently, sexual abuse. The overall pattern continues to be dispossession, denial of historical rights and patronizing control. Canadian society, with our self-appointed “mission” to improve the health, education and well-being of Afghans, has not even come close to securing those same essentials for our first nations citizens. The living situations, health conditions and social deprivation of many aboriginal Canadians are abysmal even by Third World standards. Under such circumstances, among tormented, dislocated and, most fundamentally, disempowered people, pain and suffering are transmitted from one traumatized generation to the next. If Canadian society were ever to apologize to our first nations peoples for their dispossession and suffering, as we have to Japanese Canadians for their internment during the Second World War, our contrition would need to be vast and our willingness to make restitution immensely generous. Perhaps that is why we have never accepted the responsibility. What do you think? For us in Australia, do we have the same indifference to Aboriginal addiction?